Bank Owned Properties (REO) vs. Short Sale vs. So what is the difference between a Regular Sale, a Short Sale, a Real Estate Owned (REO) Property? While most savvy buyers and sellers are familiar with the differences between a regular sale, a short sale and a bank owned property (Real Estate Owned by the bank – REO), most are not familiar with all the intricacies involved in the selling/purchasing process. Most sellers today are frustrated and finding themselves competing with REO and short sale properties. So if they need to sell their home, what can they do to sell their homes at the highest price possible? Knowing what the buyers are facing in today market, knowing the current market condition, months-of-inventory would definitely help! · A regular sale transaction is always more desirable to buyers. Since buyers always receive full disclosures from the sellers, it allows them the opportunity to know the condition, the history of the home better. For some buyers, this is always very important part in their decision making process. · Lender’s guideline requirements often limit average buyers from completing the purchase of REO and short sale properties due to their poor/non-habitable condition. With fewer choices, buyers will look for a regular sale. · Most average buyers do not have excess cash in addition to the minimum required 20% down payment and closing cost, to fix or major repair projects. Therefore, it is more advantage for them to purchase a “ready-to-move-in” property. · A lot of buyers are in fact just as frustrated in dealing with short sale and REO properties, since there are too many unknowns, uncertainties involved. Sellers – If you are planning to sell your home, it’s important to know your local market trends, the neighborhood activities and the conditions of the homes for sale, pending and sold. Preparation is still the key in getting your home sold quickly at the highest possible price. Active buyers and your Realtor will most like know more about the homes for sale nearby better than you. Consult with your Realtor to provide you with current market trend can help you better prepare your home for the market. Remember you are looking for the buyers who appreciate your home and everything that they know about your home. For an up to date monthly market trend summary in your area, feel free to contact me for a graph of your local neighborhood. What is a short sale? A short sale is a sale transaction in which the seller’s mortgage lender agrees to accept a payoff of less than the balance due on the loan. It is of course easier said than done. Most short sales involve a lengthy process of negotiation and a lot of patience. · Risking theft and vandalism to the property, either by the borrower prior to vacating the premise and others. Why do sellers want to short sale? In general, sellers who are unable to make loan payment as the result of increases in their adjustable interest rate, or other economic reasons, want to sell their homes to avoid foreclosure, or personal bankruptcy. The impact to their credit score is usually less going through a short sale than a foreclosure action. They can potentially purchase a home again in a few years, without a bankruptcy on their Credit Report. Short Sale Sellers – As you are going through the process of short selling your home, it is import to understand the impact that a short sale to your financial status. A Realtor with track records in negotiating with the lender is critical to the success of the transaction. A qualified Realtor can definitely reduce the stress involved in short sale process. There are tax consequences that you should be aware of. Consult your tax advisor for more info. You are required to provide disclosures to your best knowledge, as if it is a regular sale process. Buying Short Sale Properties – It has been known that short sale transactions usually take a long time to complete due to lender’s approval process. This timeline has improved significantly in recent months. Once a seller has accepted an offer, the negotiation process with the lender begins. The approval process is now averaging between 30-60 days compared to 90-180 days previously. Buyers often run out of patience and miss out on great purchases. Every transaction is different, and each lender will have its own guideline and timeline. So when you work with a team of Realtors/negotiators with solid understanding of the process, you chance of success is greater. Feel free to contact us for a free consultation; we can help you explore all the options available to you. Our goal is to provide you with information that will help you in your decision making process. We have great track record in negotiating for our clients. You can email me at Nick@NickPham.com or Click here. An REO (Real Estate Owned) properties are properties own by the mortgage company after an unsuccessful foreclosure, trustee sale, etc. What’s involved in purchasing REO properties? · Negotiation - Since it costs the bank more to sell their REO properties, there is very little negotiating room. Banks will try to get the best and highest offers. It is to their interest not to “dump” properties to the market. Most REO properties are sold recently with multiple offers, recently. This varies from region to region, of course. · REO properties are normally sold in its "As-Is" condition. There are only few mandatory disclosures that the banks (sellers) are required to provide. Buyers should be prepared to do their own inspections to their satisfactory. · There are little disclosures available; buyer should consult with a qualified Realtor to review all available information including title and title insurance, etc. In preparation to making an offer on a REO property, buyers and the selling agent should be prepared obtain an Offer Instruction and/or an Offer Checklist from the listing agent. A complete offer package can reduce the review time and therefore speedup the approval/acceptance time from the bank. For a sample copy of an REO offer instruction or an offer checklist, please email me at Nick@NickPham.com or Click here. 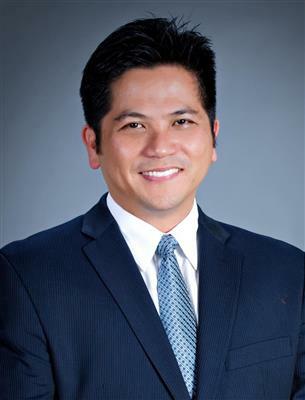 Feel free to visit my web site at www.NickPham.com to create A Free Buyer/Seller Account to track the market activities in your neighborhood, and receive instant email notification of new listings on the market, including short sales and REO.